An article published at Hurriyet Daily News lists the penthouse prices in Istanbul claiming that penthouses are usually the most expensive apartments in metropolitan cities and these prices are a good indicator of how much it will cost to have an outstanding apartment in any city, hence it is Istanbul in this case. Penthouse apartment at Sapphire Residence is the most expensive penthouse flat in Istanbul with a price tag of $7,5 million. 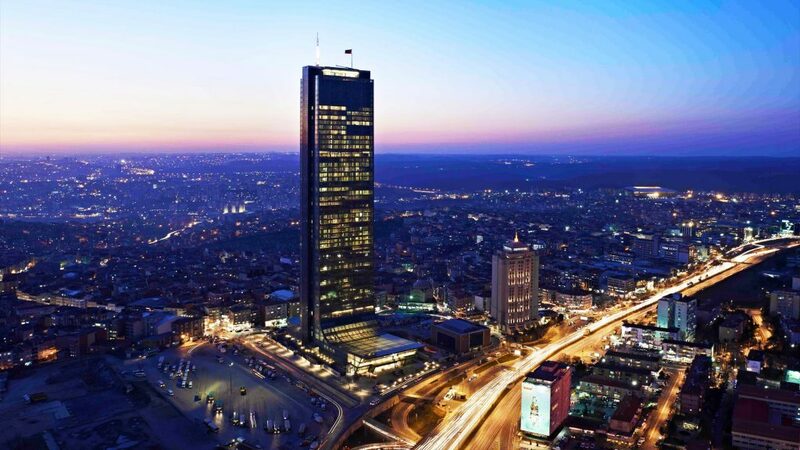 This amount is basically nothing compared to its counterparts in London and New York and other metropolis but it is mostly due to not having enough supply of penthouse style flats in Istanbul. Penthouse prices at Atasehir’s Uphill Court are listed as 2 million Liras but Atasehir is neither the prime location in the city nor average prices in this neighborhood can be compared to the ones in Levent or Bebek. Istanbul is a city where buildings specified as historic monuments are being preserved and the municipalities generally do not allow structures higher than certain heights. The article should have been comparing prices at developments like Astoria. Selenium, Metrocity, Kanyon, etc… The prices for penthouses are said to be around $5-6 million at other top-notch neighborhoods.